Oh this could be my most favorite holiday of all! I am not a big fan of the “real” holidays, but I love the food and beverage days! Coffee has been apart of my life for a VERY long time. I shared all the details in My Coffee Story. After you understand where my deep love of coffee came from you’ll see that my other posts on coffee come from a position of authority! Hey, everybody is an authority on something! 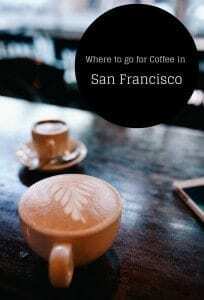 San Francisco has no shortage of great places for coffee and my Where to go for Coffee in San Francisco has plenty of the details. I work in the Financial District and one of my favorite spots is a place called Coffee Cultures. Check out my post and interview in San Francisco’s Coffee Cultures. I fell head over heels in love with Tom Greenwell fourth generation coffee farmer at Greenwell Coffee Farm in Hawaii. Farmer, food scientist and coffee champion, after spending several hours with Tom I had a whole new appreciation for Kona coffee. I have spent a lot of time in Paris, my hubby even more, but despite that fact, ordering coffee in Paris can be daunting even for us! I put together a post on How to Order Coffee in Paris to help. Then I did the same in my How to Order Coffee in Portugal. Rachelle of The Travel Bite beat me to it when it comes to Ordering Coffee in Italy. How about you? Do you like coffee? What’s your favorite way to drink it? Where your favorite place to drink it? I love coffee and my favorite place to drink it is at home! I like to drink my coffee iced with milk. @Shannon, you can’t do better than home to make it exactly the way you want! @Amanda, me too! Great excuse to celebrate! 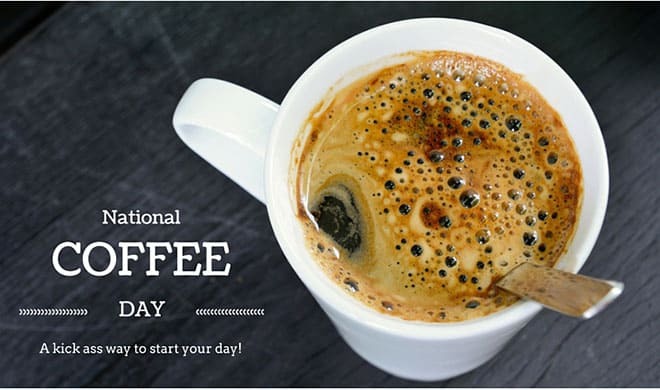 Great post, glad there’s a day celebrating coffee, it’s one of my favorite beverages and a must in the morning! @Janel, you said it! It is how I start my morning every single day! I love a cappuccino. I developed my love for it in Italy when I first tasted a perfectly made coffee with steamed milk in a small coffee cup – only considered small compared to a grande or venti coffee from Starbucks mind you. I have a cappuccino every day from my local Blenz and they are good but nothing compares to the real thing! @Murissa, I love a good cappuccino too, and in Italy, they are the best! What fun to drink coffee in all those countries! I also loved reading your coffee story. Your mum ordering hot chocolate reminded me of my mum – a coffee addict, but she became a glaucoma suspect last year and her doctor ordered her to stop coffee. She says she still gets a headache without her morning cuppa. @Renu, I know that is no fun, whenever I try to cut back coffee I have the same problem! Love this post! This is one of the reasons I adore you so much! This has to be one of my favorite holiday’s too! I have sampled coffee all over the country (and several parts of the world) and I think San Francisco has some of the best coffee on the west coast. Seattle has to be one of my favorites too. I love coffee, too – if that’s not obvious enough from my blog name haha. Great recommendations here! @Summer, love the name of the blog, I am coming for a visit! All I want is a Blue Bottle coffee now, wahhhhhh! @Kristin, the opened a brand new Blue Bottle on the corner of Bush and Montgomery near my office, heaven! I do not drink coffee every day but I do enjoy it during a gather with friends. I always take coffee with a piece of cake. @Mai, that is not a bad combo! I haven’t drank coffee in a long time. I use to love a good Iced Coffee. When I would go out to breakfast I enjoyed a hot coffee with cream but I don’t drink it anymore. I am on a specific diet that only allows weak coffee but I haven’t really had the urge to drink it in years. This does look yummy though, myabe I will try to make some soon. I am so not a coffee drinker, but my husband enjoys specialty coffees. You are very fortunate to work in San Fran. I have been there a few times and loved it. @Nikki, if only we good order men! Oh yes, I love my coffee. I didn’t get to actually “celebrate” National Coffee Day, however. I heard Dunkin Donuts was giving away free coffee? Of course America would have a day just for coffee. Oh my, how I love my coffee, thanks for the great information. What would I do without my coffee? Probably go crazy!!! Coffee has been a staple in my life for about 10 years. I too love to make it at home as well- I use my Keurig. I love coffee. I just had a cup, lol. I do love coffee (but recently had to cut down…long story). When I was in NY, my friend and I went to Eataly for coffee every morning…it was our little ritual to get the day started while we were there. Beyond that, I mostly make it at home. We love our coffee here. Thank you for sharing. I love coffee and this pic looks so apealing right now! Love coffee who doesn’t? Thanks for sharing! oh man would I just love to have coffee in Hawaii!! Adding that to my bucket list!! Coffee is my life blood lol!! Coffee is such a ubiquitous drink…I can’t imagine how anyone could go without it. I like mine either black or with a touch of sweetened condensed milk. What a great day! Perfect reason to relax. I love coffee my favorite place to get coffee is dunkin doniuts in my opinion. I am a coffee addict — I especially love creamy flavorful coffees. Thanks for the post and getting my morning started! i am not a huge coffee fan ): when is national hot chocolate day!? I have to have my coffee everyday. Thank you for sharing. Love your site! My search for everything coffee brought me here! Thanks for sharing! @Rachel, thanks so much, that is awesome! I love a good dark roast cup of coffee in the am. I do love to experiment with specialty coffees too! Thank you for sharing. We love our coffee of a morning. I can’t wait until September. I love coffee so much, your photos look delicious! I started drinking coffee four years ago and wondered why I haven’t drank it sooner. I didn’t know there was a National Coffee Day. This year it will be on the 20th anniversary of the North American release of the Nintendo 64. I love coffee! I’m in no way a connoisseur – I just know what I like. @Lynne, nothing wrong with that! It’s like a dessert for me! Hope you’re enjoying your weekend.